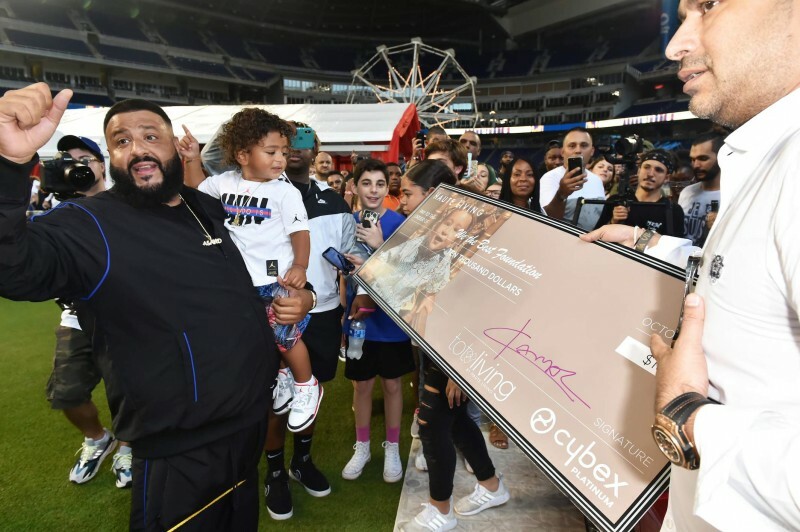 Tot Living by Haute Living teamed up with high-end child safety and juvenile product company, CYBEX, to celebrate mini music mogul Asahd Khaled‘s 2nd Birthday. 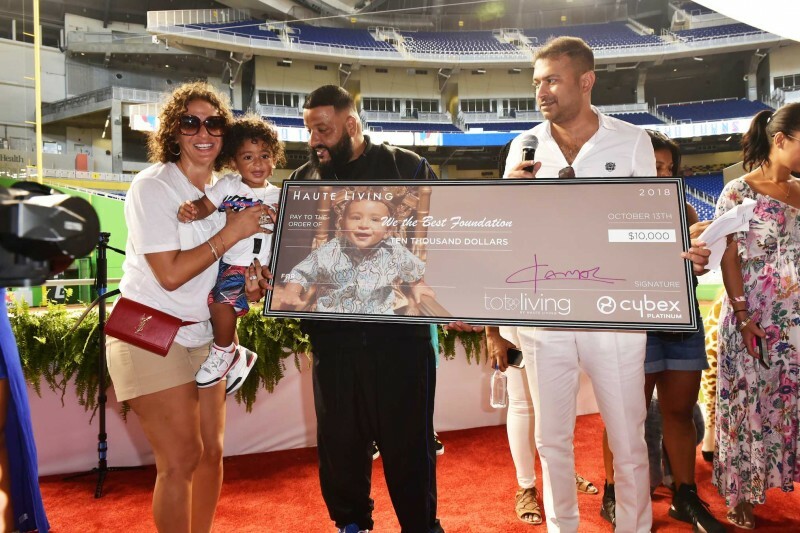 The famed music producer and social media sensation DJ Khaled and Nicole Tuck threw their son Asahd an extravagant, circus-themed birthday bash at the gorgeous Miami Marlins Park and decked the newly-renovated baseball stadium out in carnival games and rides and provided entertainment with live performances, a fashion show, a handful of vendors and more to make the day one of the most memorable yet. 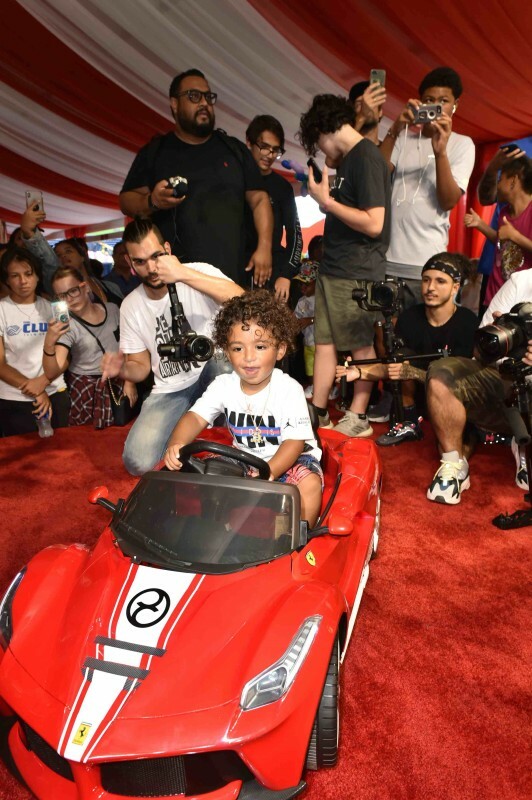 The highlight of the event occurred when a beautiful red Ferrari 488GTB pulled out onto the stadium to deliver Asahd one of his most lust-worthy birthday gifts—a red, mini LaFerrari children’s car provided by CYBEX, emblazoned with the company’s signature logo. 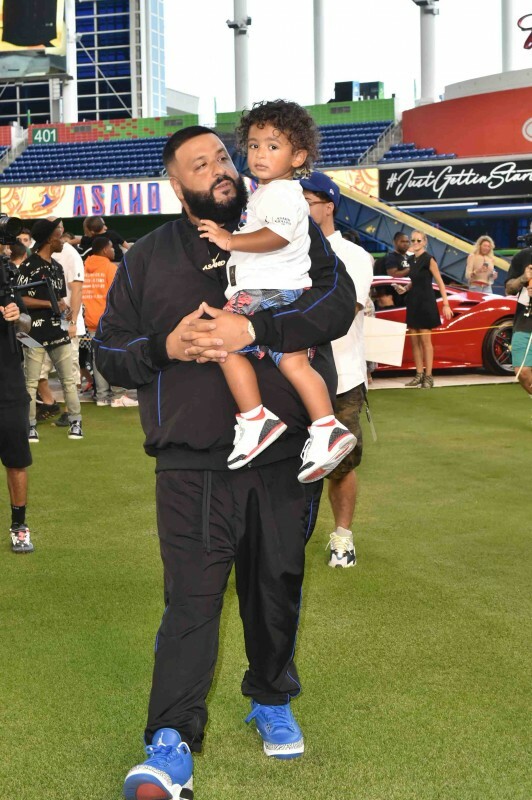 Along with the car, CYBEX also gifted Asahd the first custom CYBEX for Scuderia Ferrari – Asahd Khaled stroller, which had his name embroidered on the basket of the lavish stroller. 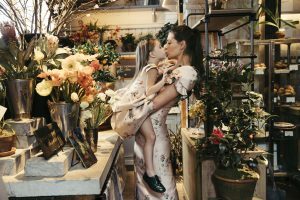 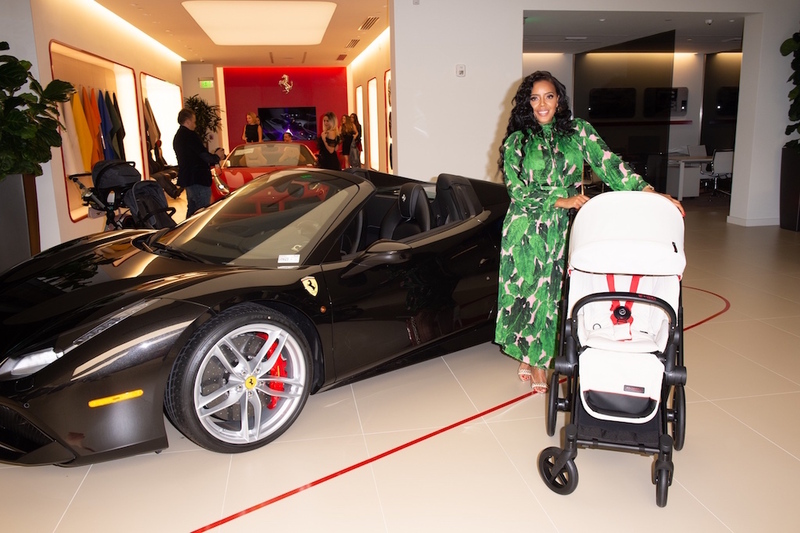 CYBEX celebrated the launch of the special luxury children’s line the night before at the brand-new Ferrari of Miami dealership where they presented guests with the gorgeous CYBEX for Scuderia Ferrari strollers, car seats and carriers. 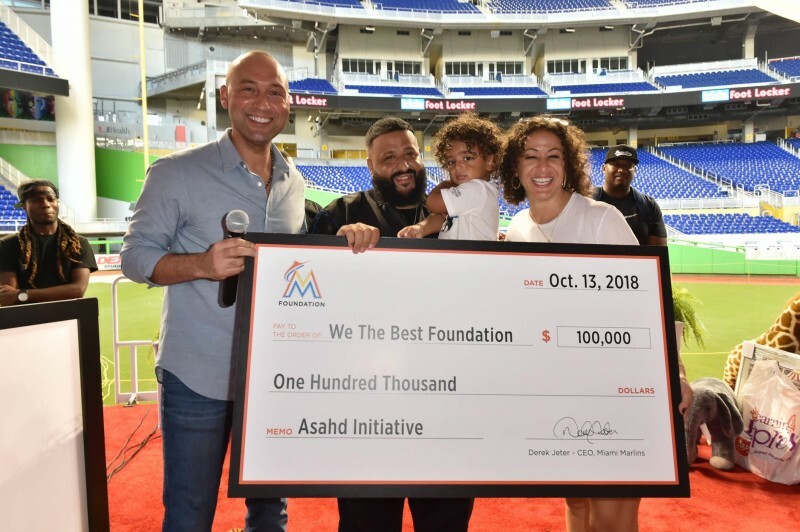 Along with the tangible presents, CYBEX and Tot Living by Haute Living presented Asahd with a $10,000 check made out to We the Best Foundation for Asahd’s initiative, which supports the 501-C3 Foundation in enriching the lives of children. 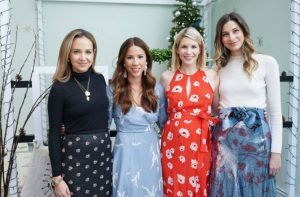 The initiative, which launched that day, specifically supports programs that aid in the growth and advancement of a child’s life, with a special emphasis placed on programs that meet community needs and reinforce family values that promote youth entrepreneurship. 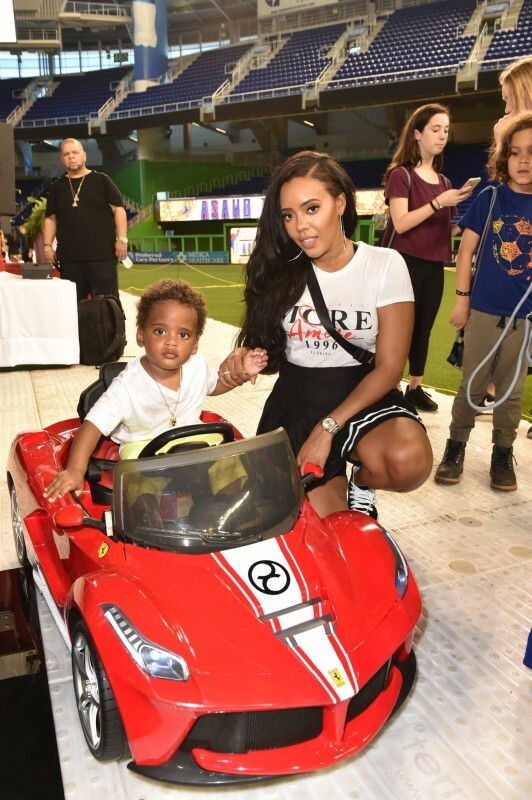 The mini mogul has had quite a year—he’s executive produced hit singles like “Wild Thoughts,” which went four-times platinum, “To the Max,” which earned a gold certification with his famous father, and attended Red Carpets of high-profile events throughout the country in the most dapper of children’s attire. 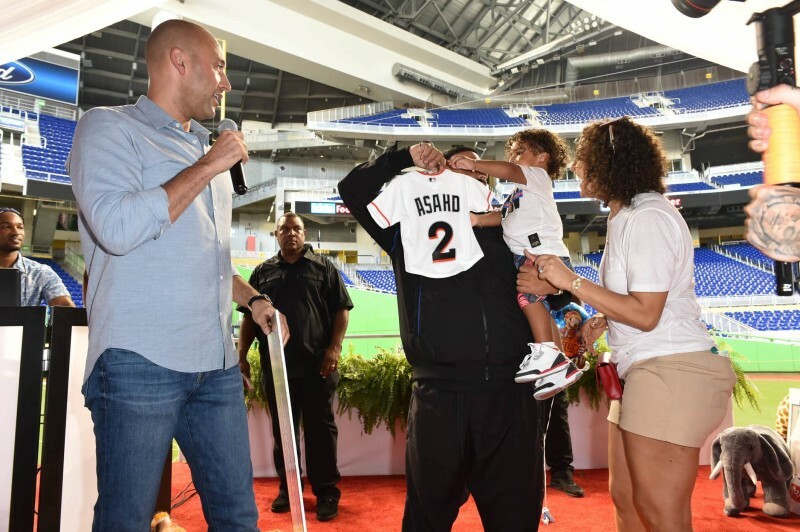 But most importantly, he’s focusing on giving back to children just like himself with his family and the We the Best Foundation to inspire other children to achieve their own greatness. To conclude, Derek Jeter took the stage to present $100,000 to the Foundation on behalf of the Miami Marlins along with a special customized Miami Marlins jersey for Asahd. 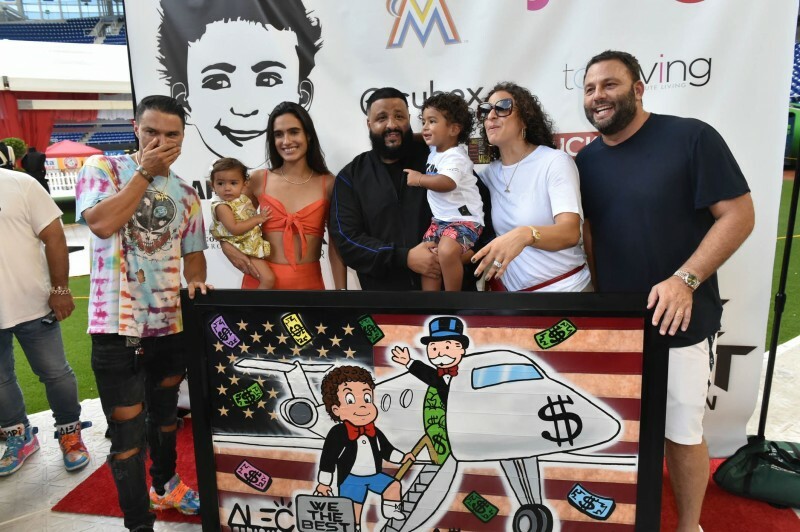 With a celebratory “Happy Birthday” moment, Asahd and his family blew out the candles of his towering, circus-themed cake by The Ellinnet Cake Collection and enjoyed the rest of the afternoon’s festivities with friends and family. 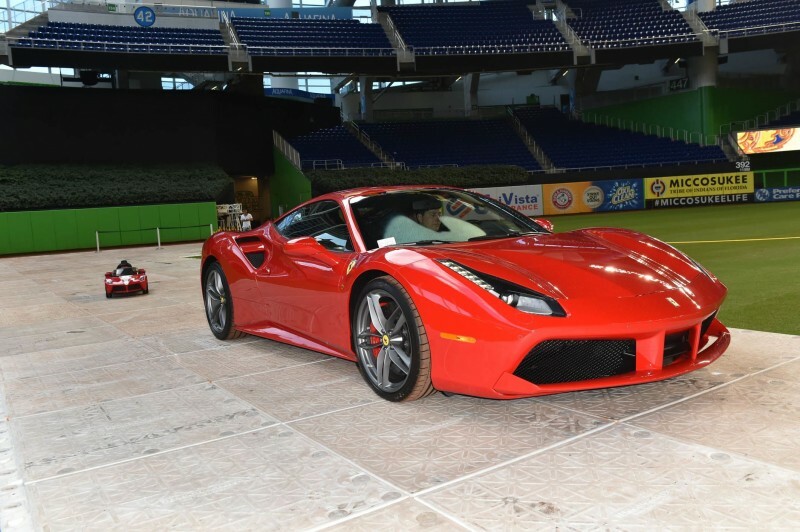 The event was made possible by Marlins Stadium, Kathy Romero Events, Lyft, Tot Living by Haute Living, CYBEX, Beats, Foot Locker Kids, Rookie U.S.A., Fingerlicking, Be Social Events, The Ellinnet Cake Collection, ODA Creative and more.